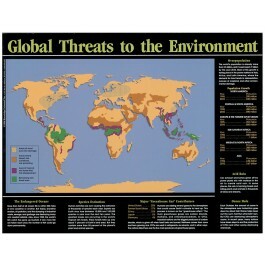 Like the name suggests, this colorful poster indicates areas of the Earth that are currently threatened by pollution, deforestation, overpopulation and species extinction. 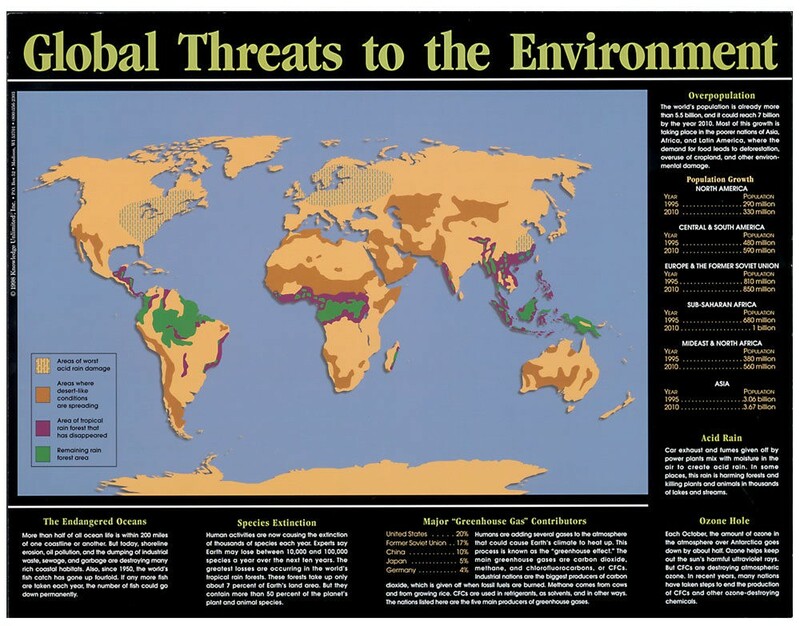 It includes population figures from around the world, lists major polluters by country and discusses extinction, the hole in the ozone layer and the threats to our oceans. Printed on coated stock.